In order to solve complex business problems a team needs to be aware of its potential, have certain skills and consist of different roles. Dr Meredith Belbin’s theory focuses on effectiveness of a team ready to face important challenges. 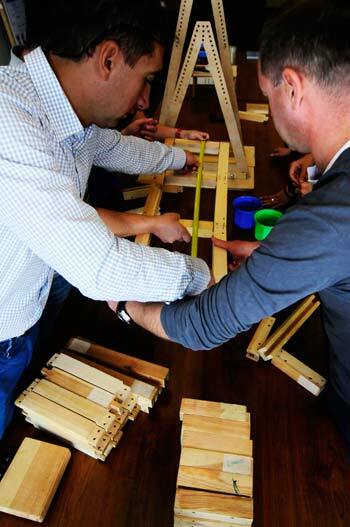 Our training based on dr Belbin’s theory is designed in two parts: the first consists of team role diagnosis for each participant, in second part we verify how these roles interplay on the level of effectiveness of the entire team. The diagnosis is being made based on observation of participants’ behaviors during solving complex problems in engaging projects. Last part of the training results in a development plan on individual and team level. Dr. Meredith Belbin posted a question: „Why are teams ineffective?”. He wondered what factors outside of qualifications decide about success and lack of it. Belbin started researching teams, posted hypotheses and drew conclusions. This is how 9 team roles were created, all of them important and complementary. The key to success is the skill of managing different roles on all phases of solving a business problem. Initial identification of Team Roles, based on project-based games. 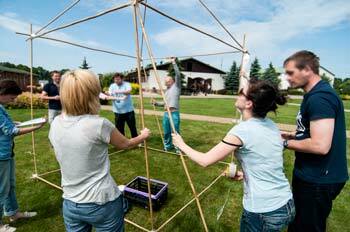 We use project-based games, which evoke skills and behaviors of each participant. Feedback sessions allow to discuss and record them. Team Role Identification. Digitalized Belbin Reports. We incorporate Belbin’s Profiles and Reports, which combine self-evaluation and observers’ reflections. Developing Business Problems Solving Skills. Participants learn the Business Problems Solving method in order to solve real problems of the organization using simple, practical tools.